And variety is what is happening in the travel industry. It's spicing up our travel options and continually giving us choices we would never have imagined possible! And now we can add the Silversea Cruises ultra-luxury new flagship, the 596-guest Silver Muse The Muse is scheduled for delivery in April, 2017. It will be a bit larger than their last new-build, the Silver Spirit. So we can still be assured of the small-ship intimacy and spacious all-suite accommodations that have always made Silversea voyages so special to look forward to and to look back on. Silversea operates two fleets - the Classic Fleet of five traditional luxury ships and their three-ship Expedition Fleet. The Expedition Fleet offers upscale adventure cruises to Antarctica, the Galapagos and other "off the beaten path" destinations. These are places where we could use a little pampering after a day of zodiacing, and hob-nobbing in foul-weather garb in uninhabitable climes. Seabourn, so special to so many of us, has announced that bookings are already open for their newly-built Seabuorn Encore. And in 2018 their new Seabourn Ovation will begin its sailings. The Ovation will be accommodating 604 guests and should prove to provide luxury travel in an intimate setting. It's pretty difficult to keep track of it all, isn't it? What we can do though is start a shopping list. You know...make columns for When, What, Where and Likes. Or, just call us at Reid Travel, where our advisers stay on top of who's doing what, when and where and are very happy to share it all with you. Keep in mind that once new ships open for bookings, they fill up fast! News travels (no pun intended) fast these days thanks to the many social media modalities available to us. And here at Reid Travel we try to pass it on to you as soon as we hear it. These gems from the Crystal Cruises president, Edie Rodriguez, were just announced on their annual President’s Cruise on the Crystal Serenity. Spoiler alert... there's a heckova lot going on at CC. You may want to grab a cuppa before we get started and keep your calendar handy too because the announcements go from here to 2020! The abridged version is that Crystal will be expanding their fleet to make it the largest for any luxury brand. They are adding three new 1,000-passenger ships starting in 2018; two river ships in Europe starting in 2017; a new luxury yacht, Crystal Esprit, will begin cruising in December, 2015; AND The Crystal Dreamliner, a 60- guest luxury jet for 28-day round-the-world tours! On December 23, 2015, the Crystal Esprit will sail on her maiden voyage in the Seychelles. The Esprit has a marina, zodiacs, a submarine and more. It will be doing seven-day, warm-water itineraries. 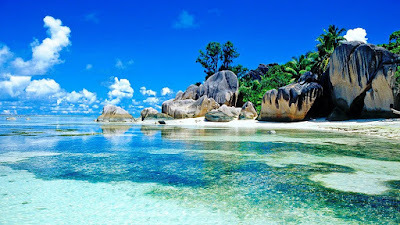 Think numerous destinations in the Seychelles Islands, Dubai and Adriatic Coast. 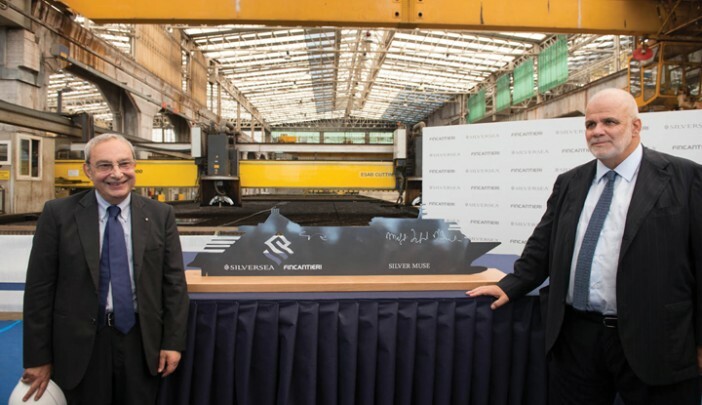 In 2017, two river ships designed exclusively for Crystal River Cruises with all-inclusive, six-star service and luxurious suites and public areas, will begin cruising with itineraries in Europe. Three new Crystal luxury, polar-class ships will debut in 2018, with two more being added, probably in 2019 and 2020. These new ships will provide the features and amenities of a luxury ship on an expedition-capable ship. They will be all-suite, all-balcony with a 1,000 guest capacity and will have a minimum of 400 square feet for all guestroom suites. And to top it off (pardon the pun) the top deck will house 48 unique “homes” known as Crystal Residences. These penthouses will start at 600 square feet and go to more than 4,000 square feet, making them the largest on the high seas. Wait, there’s more: the Crystal Polar Class ships will have 1,000 crew members, which means there will be a one-to-one crew-to-guest ratio. Celebrity chefs will provide the cuisine and guests will have at their disposal yacht-like amenities including submarines, helicopters and zodiacs. And Now For Something Altogether Different! 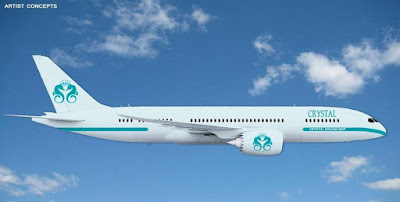 Crystal, aiming to please their devoted guests who want to see the world in thirty days or less (four weeks being the magic number), will take to the skies with the Crystal Dreamliner, a Boeing 787 totally outfitted in the Crystal style. Doesn’t this sound luxurious? Round-the-world trips with sixty guests in a space that typically seats 300; flatbed seats, lounges and other accoutrements; visiting remote and sought-after-locales for 28 days... Edie says its slated for 2017... have you been marking your calendar? Virgin Cruises sailing the Oceans in 2020!